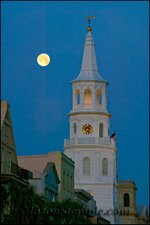 Southern History and Charm Reside Here! 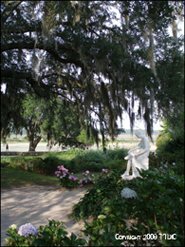 Experience visual and historical wonders at any of the Charleston plantations. Year-round splendor and charm radiate throughout the gardens, homes and plantations of these Southern jewels. Start with a leisurely drive down scenic Highway 61 for a first hand glimpse of the beauty of the Lowcountry. The canopy of moss-draped oak trees you'll drive under is an awe-inspiring sight itself. A strip of plantations are stationed along this drive, while others are sprinkled throughout the outskirts of Historic Charleston. Please note that pricing and hours of operation may change at any time. Be sure to contact the attraction directly for the most current information. This "still working" plantation is lined with "one of the world’s longest oak-lined avenues" and has been cultivating crops for over 320 years. Hours vary by season. Adults $17.50, seniors-military-AAA $15, children 6-12 $7.50, under 6 yrs are free. This is America’s only tea garden! Tours educate visitors on the entire tea making process. Their gift shop gives plenty of opportunity to take some home with you. This was one of the areas largest rice plantations in the 1700's. Now, enjoy the pristine beauty of the gardens, swamp boat rides, butterfly house and a freshwater aquarium. 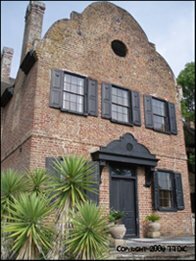 One of my favorite Historic Charleston attractions! Dating back to c. 1738, Drayton Hall maintains its nearly original state and is the oldest preserved plantation house in America that is still open to the public. 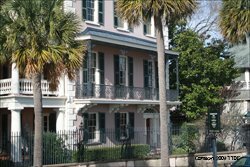 Headed out towards Myrtle Beach, you can visit the Georgian-style mansion that resides on this National Historic Landmark plantation. This is the only domestic winery in Charleston, SC showcasing five varieties of the muscadine wine. Free tours and wine tastings every Saturday at 2:00pm. Closed in January. Dating back to c. 1676 this plantation house boasts America's oldest gardens. Magnolia claims the ultimate plantation experience with a Biblical garden, antebellum cabin, nature train, nature boat, wildlife observation tower, gift shop and more. Hours vary by season. Open 365 days a year. $15, guided tours are an additional cost. Historic Mepkin Plantation has hosted the Roman Catholic "Trappist" monks since 1949. 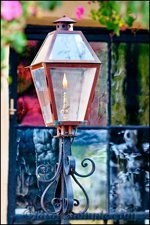 The monastery, gardens and Mepkin Abbey Store are all open for visitors. Tu – Sun: Guided tours – 11:30am and 3:00pm. Adults $5. Middleton Place Top 10 Best! Dating back to c. 1741, Middleton is a National Historic Landmark with an Inn, restaurant, America's oldest landscaped gardens and stableyard demonstrations of life in the 18th century. The magnitude of this plantation is awe-inspiring! Open daily 9am – 5pm except Christmas. Adults $25, children 7-15 $5, under 7 yrs free. Have you found your favorite Charleston Plantations? Share them with us!